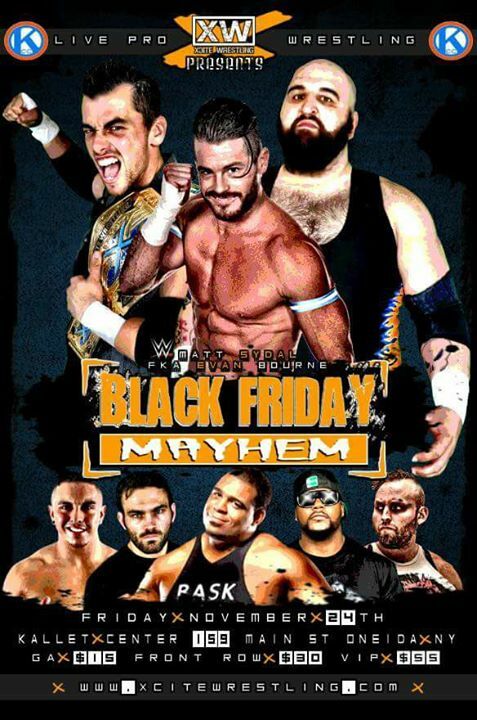 BLACK FRIDAY MAYHEM AT THE KALLET HAS BEEN RESCHEDULED!! Join the Kallet and Xcite Wrestling as we present live professional wrestling at the Kallet! Black Friday Mayhem has been rescheduled for Fall 2018. Tickets are available for purchase online by clicking here and will be available for purchase at the Kallet Box Office as the event gets closer. For more information, visit www.xcitewrestling.com.